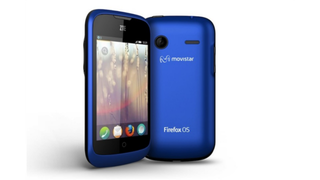 There have been a few Firefox OS developer phones floating around but now, Mozilla has announced the first official Firefox OS handset at Mobile World Congress: The ZTE Open. It's not a high-powered guy, packing a Cortex A5 processor, and a 3.5-inch display. It's like a glance into Android's past. Information beyond that is a bit lacking at the moment, but more is sure to come out during Mozilla's live press conference and as MWC powers on. And hey, it's a start. The ZTE Open isn't alone though. Acatel also has a phone coming out for the new OS, the One Touch Fire. Like the Open, the One Touch Fire is a pretty basic phone with 3.5-inch screen, a 1GHz processor, 512MB storage (plus a 2GB SD card) and a 3.2-megapixel camera. It's due for a June launch in Latin America and Europe.